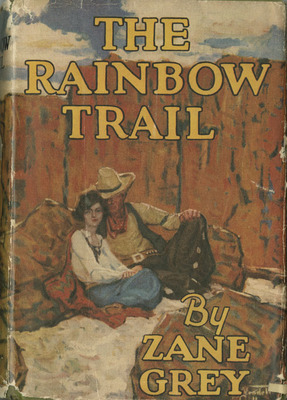 Grey, Zane , “The Rainbow Trail ,” Arizona 100: Essential Books for the Centennial, accessed April 21, 2019, http://speccoll.library.arizona.edu/online-exhibits-dynamic/az100/items/show/270. Zane Grey’s (1875-1939) strong connection to Arizona, not to mention the fact that his books sold worldwide, and still do, made him the most popular author of the late-nineteenth and early twentieth centuries. 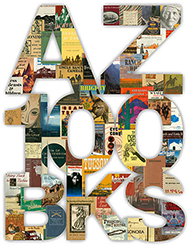 Grey is justly famous for his flowery, but accurate, descriptions of the canyons, rivers, mountains, and forests of the Southwest. New York : Harper and Brothers, 1915.